Everything you're searching for in St George Utah, if it's red mountain views, homes on a golf course, or 55+ communities in St George Utah. Information and listings for Southern Utah real estate. I'm Paula Smith with RealtyPath in St George Utah. I created this website to feature ALL MLS listed homes including those listed by other brokerages, such as Coldwell Banker Premier, Keller Williams, Red Rock, and ReMax. 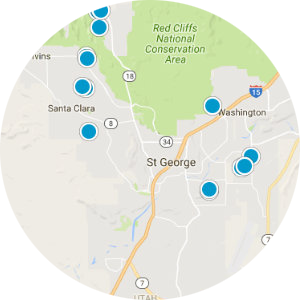 I work for both buyers and sellers in the Southern Utah area. I specialize in relocation for both new construction and resale homes. We have created target searches for buyers looking for specific home criteria, such as gated communities, age-restricted communities or 55+ communities, golf course homes, new construction homes, homes with a pool, building lots and land, or condos and townhouses. 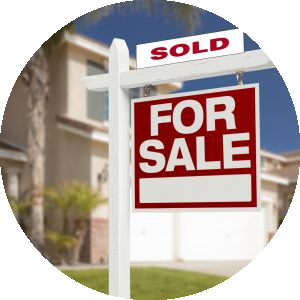 Are you wondering what is going on in St George Utah Real Estate Market? Spring in St George is in full swing, and the only thing hotter is our St George Utah real estate housing market. 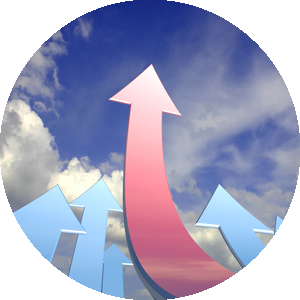 Inventory remains low and sales are high, which contributes to this aggressive and fast-paced real estate market. 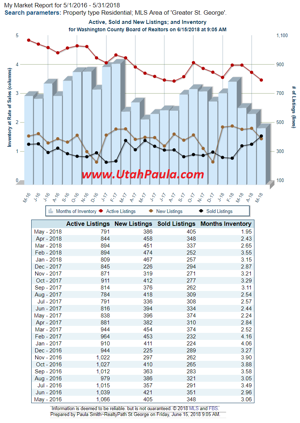 Here is a quick snapshot (photo below) illustrating the past two years, this graph offers insight and I’ll further analyze the status, to read more about the market click the photo or click this link: Greater St George Utah Real Estate Market Report for April 2019. Also, if you’re interested in more specific statistics or reports I’ve missed, please offer your input—contact Paula Smith with RealtyPath directly and let me answer your questions. Beautiful Newer home. Come see it before it is gone. We were very pleased with the service we received from you as our agent and would recommend you very highly. If there is any other website or way we can give you a 5-star recommendation, please let me know. Thanks again for all your help and service. 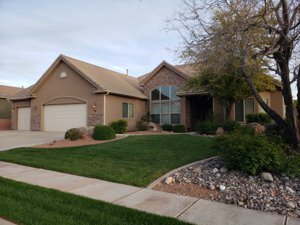 Paula did a great job for us while we were looking for a home in St George, UT area and during the purchase process of our new home. 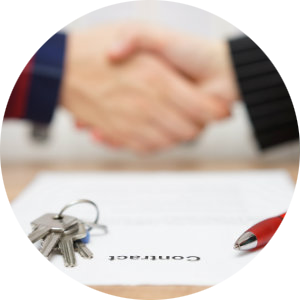 She helped us negotiate a good price for our house and kept us well advised during the purchase process. We have found her advice on all matters pertaining to our move to St. George to be very helpful. We have confidently recommended her to friends looking for housing in this area.